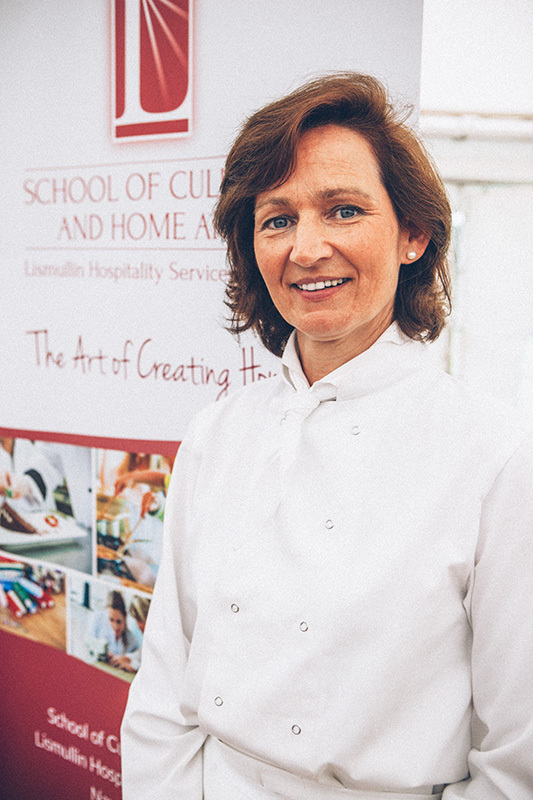 Taste of Meath was the first of hopefully many events to follow. It took place last weekend at Oldbridge, Battle of the Boyne Centre in Co.Meath which I didn’t even know existed until we arrived on Saturday morning. We were lucky, it was fantastic weather and an ideal place to bring a picnic and enjoy all that’s going on. 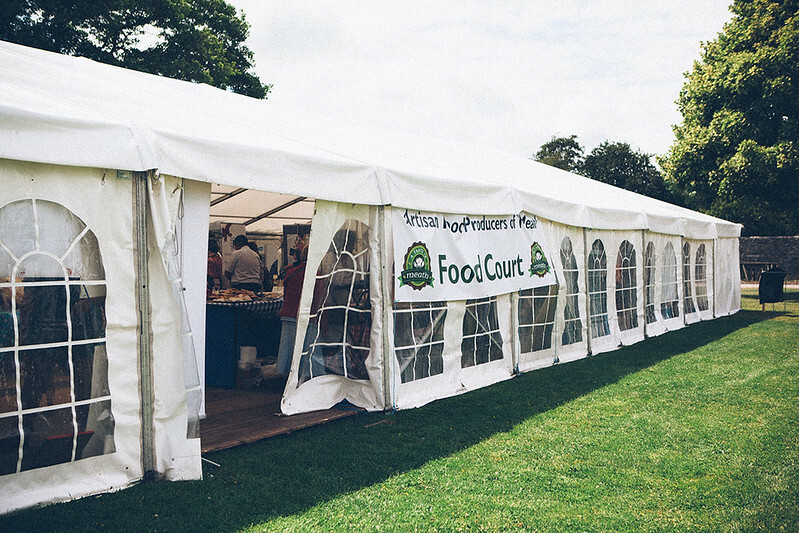 The event was held 12-5pm on both Saturday and Sunday with some extras such as flower shows and dog shows but we were mainly there just to see what is going on with food producers in the Meath area…we weren’t disappointed. 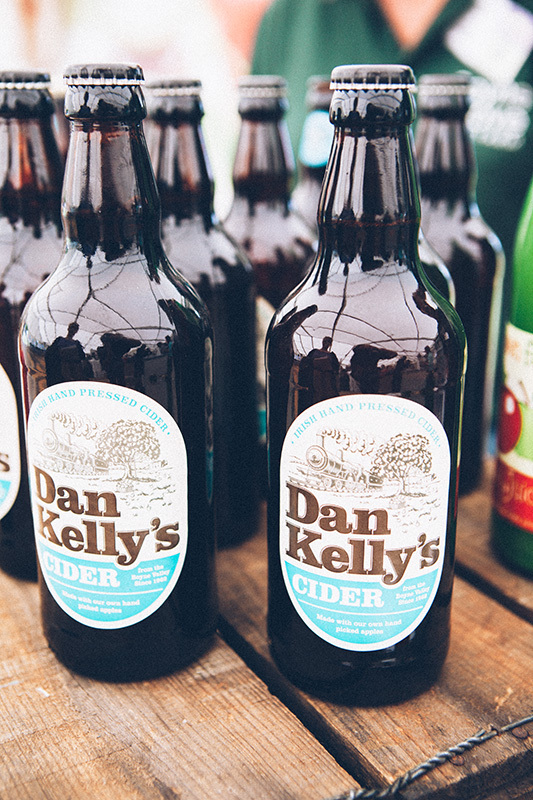 Dan Kelly’s cider was one of the stalls that caught our attention, their branding is quite modern yet having a lovely aged feel to it. We spoke to Olan whose father bought the orchard back in the early 60’s and since then has developed into producing cider. 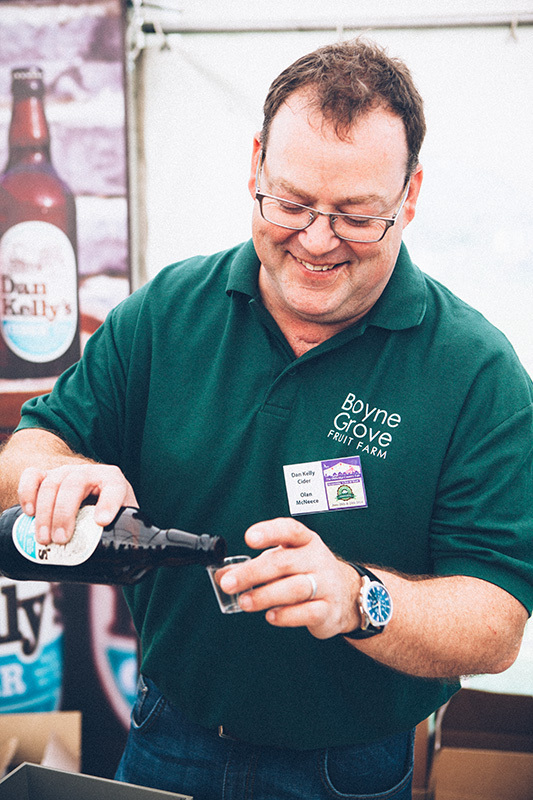 The cider is made from hand-picked apples and they keep it quite pure by staying away from all the additives that are used in many of ciders on the Irish market. We tried 2 of their ciders and some of the apple juice. I really recommend picking some of Dan Kelly’s cider up if you see it as it’s such a well balanced flavoursome cider. Some well known stockists across the country are Redmonds of Ranelagh, Eastern Seaboard in Drogheda and Nevan Maguires Black Lion in Co.Cavan. Wild Irish Foragers and Preservers was something very unique at the show. 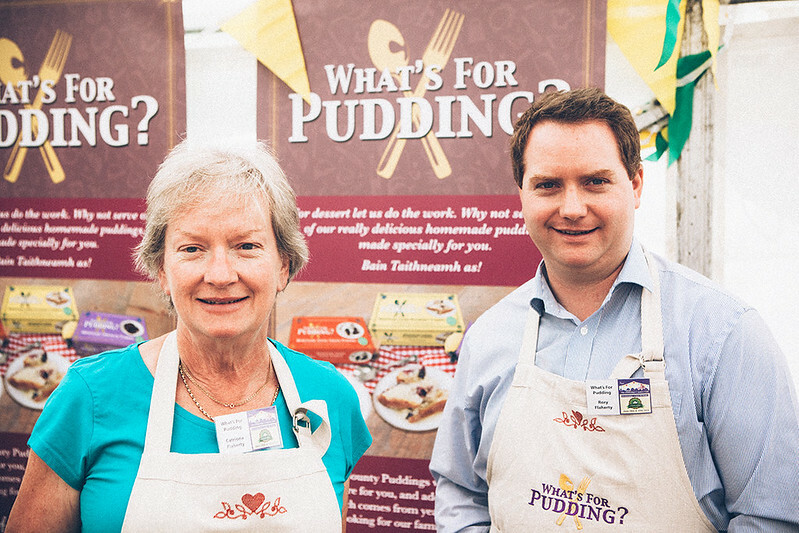 We spoke to Sharon whose family business is up and running around 18months. 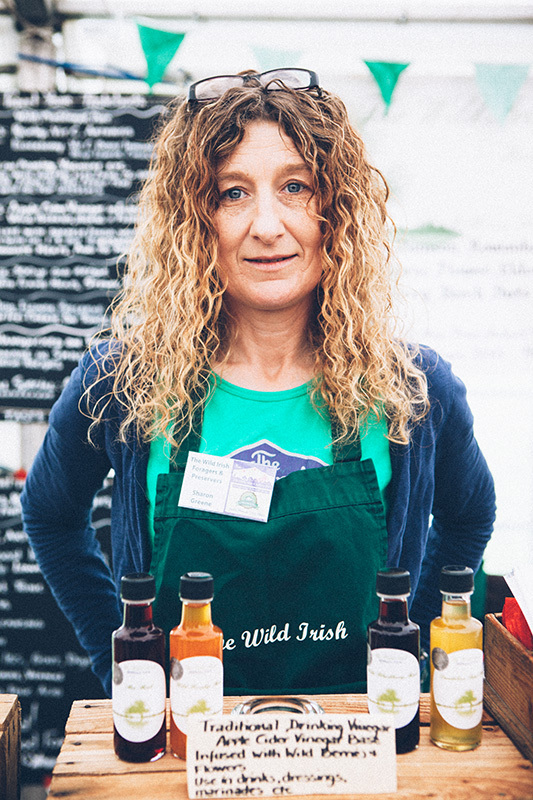 They have a product range of many different syrup concentrates and preserves, all of which are foraged on their own land of 55 acres in Birr Co.Offaly. Their packaging is really nice and quite inviting to try, so I didn’t need much persuading to taste. 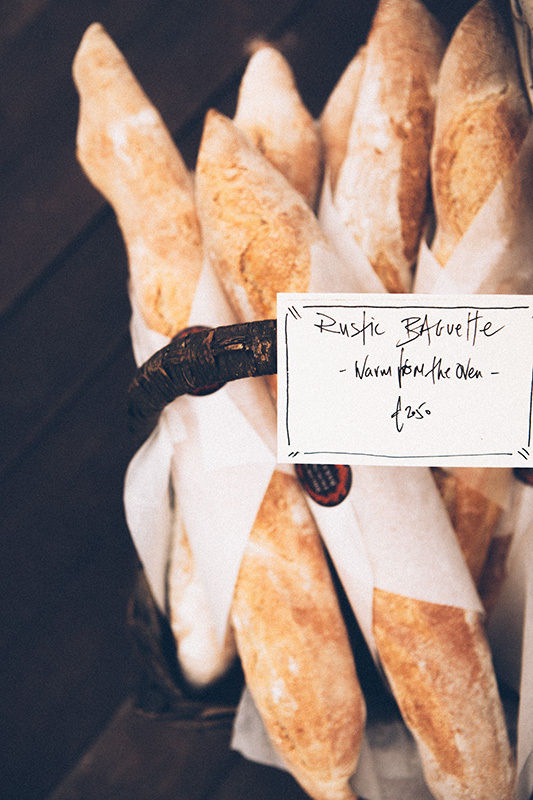 The ethos of the company is to bring back forgotten ingredients and recipes so they’re not lost forever. Admittedly I didn’t recognise some of the ingredients in the syrups but when I went back home I realised at my parents lush garden we were surrounded by them. I am now quite interested in getting more informed and have ordered a book that Sharon recommended. I think it’s such an exciting and almost forgotten thing that she’s uncovering and I wish her all the success with achieving it. What’s for pudding? Is run by the Flaherty Family in Co.Meath. They make a selection of sauces and puddings made from 100% natural ingredients. It’s quite evident this company really is a family based love, from their company name to the family team at the stand. The company is relatively new but their idea is simple but effective. They have a product range of 6 items, ranging from butterscotch sauce for ice-cream or pancakes to their lemon blueberry pudding. This would be a great thing for busy people that have not the time nor interest in baking but still want something sweet and home-made after dinner. At the moment they are being stocked in Navan shopping centre and Centra in Kilmessan. Myself and Rob have become slightly obsessed with Big Red Kitchen and their amazing jams. 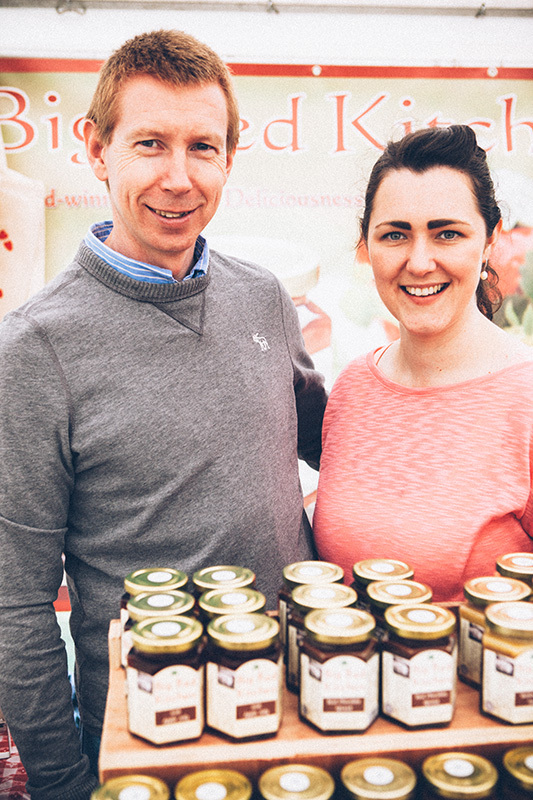 Nicola and her fiancee Seamus chatted to us about where the idea came from and how it’s expanding. They have a huge range of jams including my personal new favourite Pear and Vanilla, and Rob’s favourite, banana. Nicola lives right next to one of Ireland’s most well known berry farms where she uses their beautifuly fresh fruit in her jams, this flavour and freshness comes straight through. 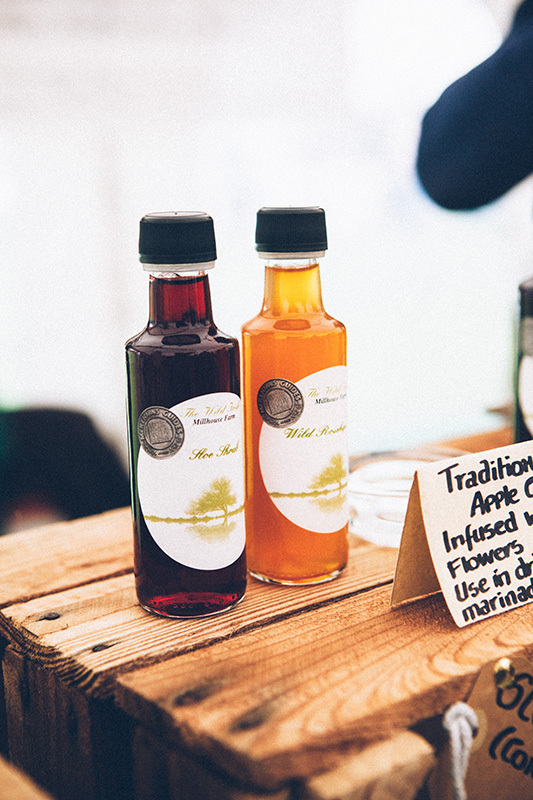 They also have a selection of marmalades, chutneys and even sweets. Nicholas excitement and passion about her company is inspirational, she took something she enjoyed and made it into a successful and ever growing business. They are currently stocking around 60 stores in Ireland and have made steps into exporting. The range of flavours and combinations are really so inviting and unusual that you want to try out of curiosity, and stay for the richness of flavour. She also mentioned that many of them are traditional flavours that have become lost or forgotten over time. This company has an endless amount of possibilities… I just need to make sure I can stay stocked with pear and vanilla jam!! Half way through we decided to pop outside and grab some lunch. We decided on Jack Cody’s as I think we were both in a chunk of meat kinda mood. We picked up two burgers and sat on the grass in the sun and gobbled them up. Both perfect size for some lunch and really really tasty meat and toppings. Mine had a dollop of Ballymaloe Relish which made it sweet but also slightly pickled flavour and Rob opted for his to be laced with mushrooms. 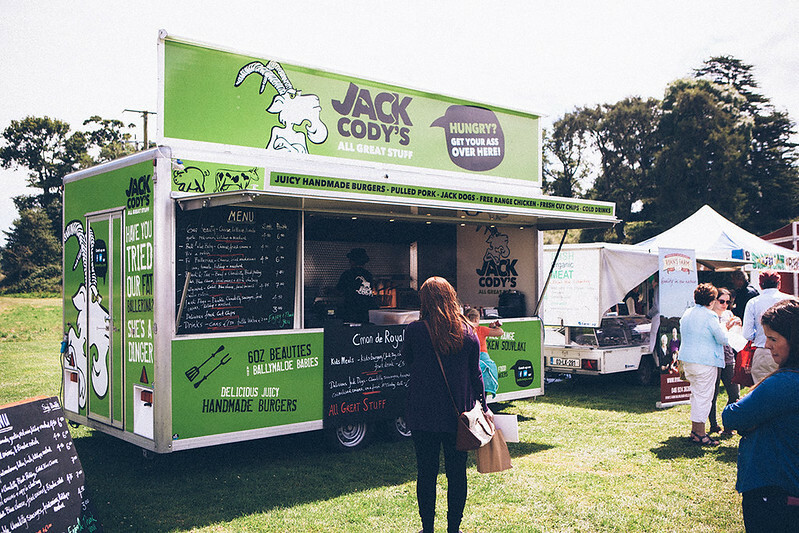 Both burgers went down really well, I would for sure pick them up at another event. But the big joy from choosing Jack Cody’s was the complimentary beer!! We had read before that they were going to start brewing a beer in the Drogheda area and figured these were the same guys. We quizzed the main man on when we could pick up a bottle, so instead he gave us a bottle from display to bring home and try. This beer was surprisingly brilliant! Beautiful amber in colour, refreshing and a great taste of passionfruit and hints of caramel. 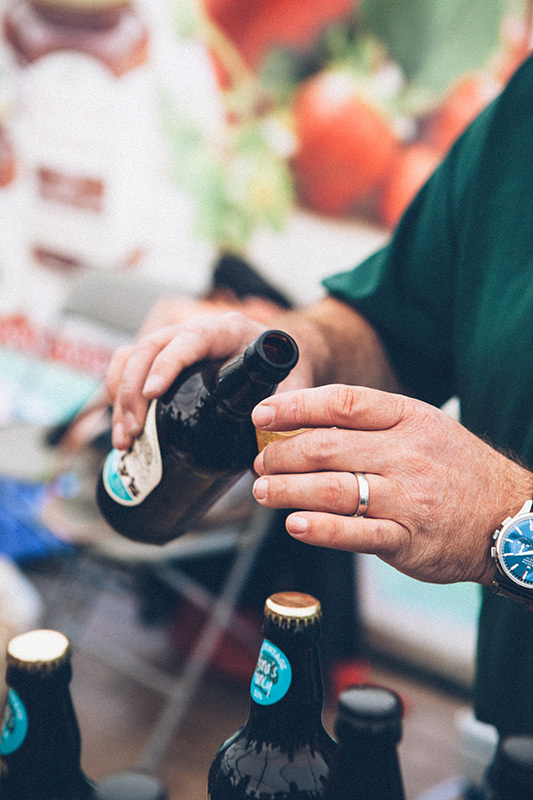 We will definitely be on the look out for this versatile beer again…more so by the crate load. You’ll notice it by their really great, modern orange and black branding. 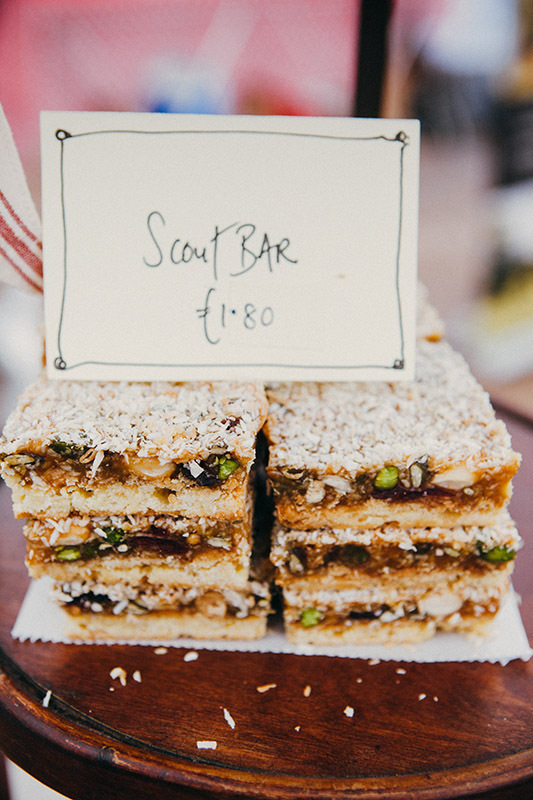 Unfortunately, we didn’t to chat to the genius behind Drogheda’s Brown Hound Bakery but we did manage to catch a few snaps of her beautiful display and pick up some scout bars which are still days later playing on my mental taste buds. In terms of display and styling, owner Jeni and husband Reuven have the midas touch. 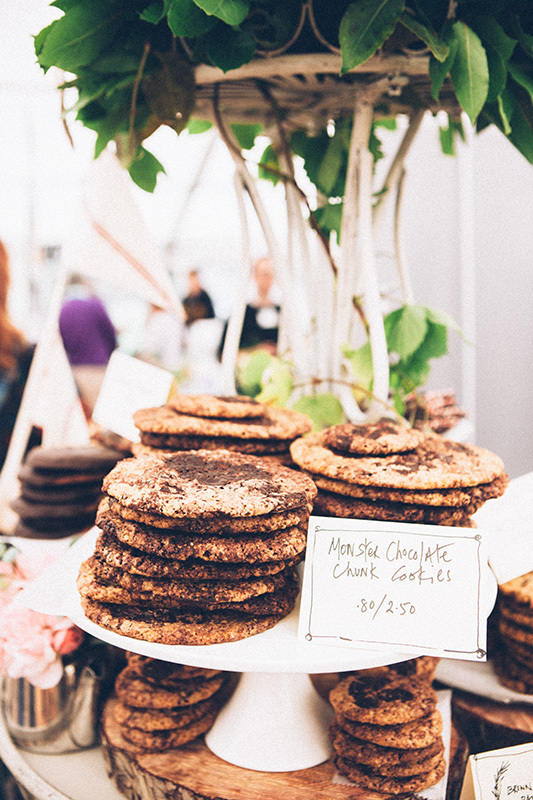 From the hand written labelling to the rustic wooden cake stands….it was just so elegant. I think I found myself just gazing at it for a while. Alas, maybe we can catch Jeni or Reuven at the next event. As a teenager I would of really benefited from the Lismullin Culinary School. They are opening a brand new school offering courses to teenagers and adults wanting to do classes in cooking and skills for around the home. They will be starting up in September 2014 and offering a wide range of courses from Jam making to sewing to budgeting. I actually would of loved to of done this in my late teens and I think it will really take off. Nora-Anne chatted to us all about the different workshops that will be on offer and the importance of learning these life skills to set up a loving stable home. 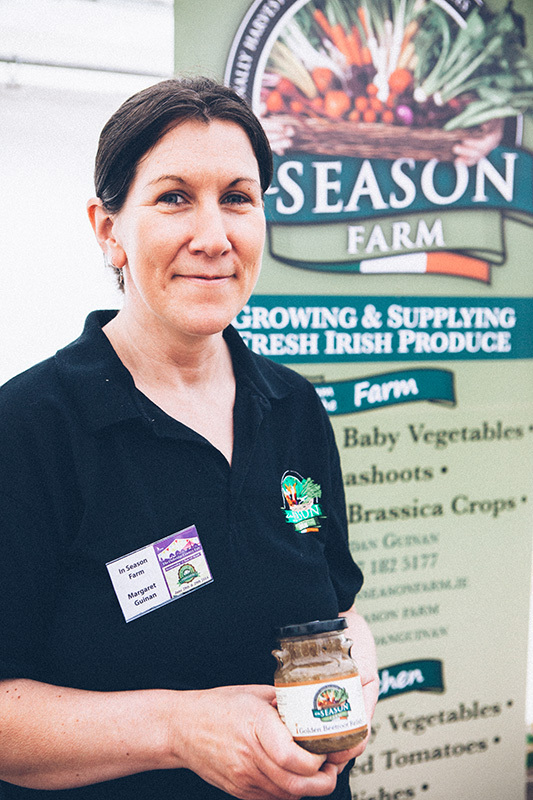 In Season Farm are a family run, fresh, new company based in Drogheda. 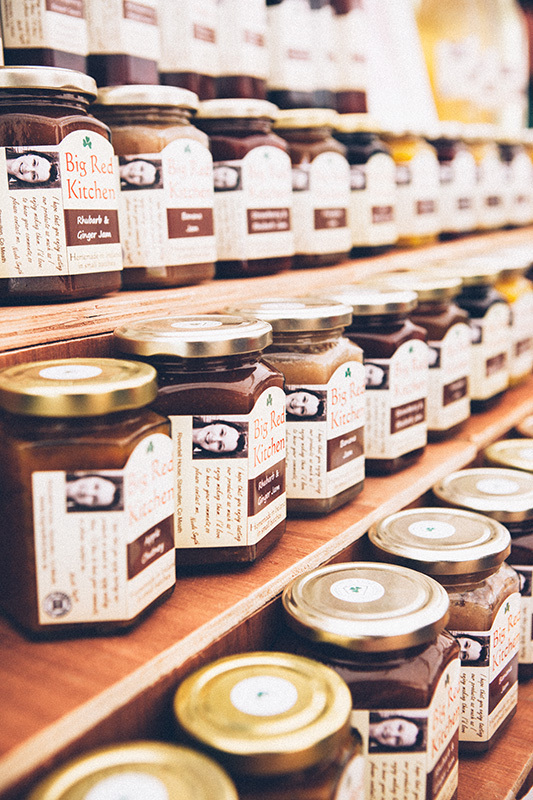 They currently have a range of 7 products ranging from pickled baby vegetables to relishes to ketchup. I really loved their golden beetroot relish, Margaret also gave me a recipe that uses the relish with pork and apple sliders…which sounded really tasty. Overall it was a really nice day and we got to chat to some people doing great things on the Irish food scene. I hope it goes ahead again for next year and is even more successful for everyone who took part in it. If anyone has any questions you can always email us at info@afoxinthekitchen.com or pop us a comment below. Hi guys. Thanks for the lovely review. It’s great to get a mention as a very new company. Much appreciated. Hey, I’m glad you liked it. Was great chatting you guys, We understand what it’s like to start off from scratch, good luck with it all. Wow great info, Il look out for these products sounds like a lovely day out and do much happening in the food industry. Thanks Zita & Rob for the great rundown and photos. Glad you enjoyed it Catherine. Lovely photos. Great to see you on the shortlist for the Blog Awards.